If you've recently taken on the task of caring for an older adult -- whether it be a family member or friend -- it can feel overwhelming. The impact of having to offer an added level of support to an individual other than a child or parent can feel intimidating, and leave many first-time caregivers wondering where to start. While caregivers often have a complicated role to play, particularly if your loved one is hesitant to accept help, there are a few things that can help make your caregiving process go smoothly from the start. It may also be beneficial to seek the help of a physician or social worker, as they may be willing to talk to your loved one about the benefits of caregiving. There are endless tasks that can fall under the title of 'caregiving': from serving as power of attorney and managing a loved one's estate to being responsible for daily cooking, cleaning and transportation. 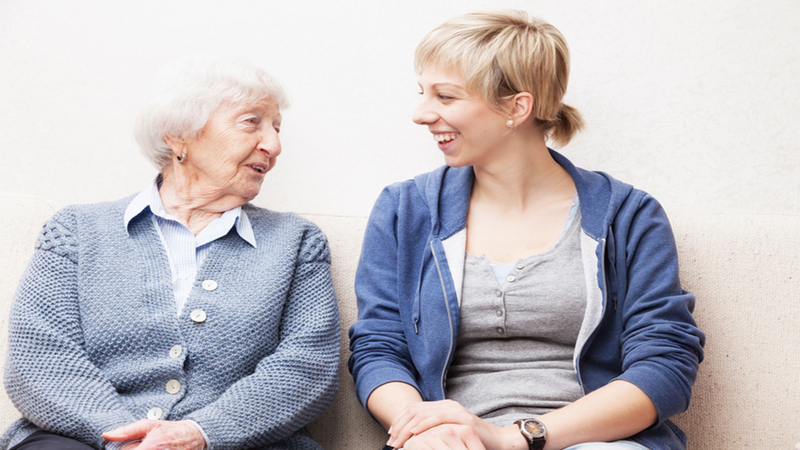 Depending on the time you can dedicate to caregiving, you may be able to fulfill just a few or all of these responsibilities, but a conversation can help establish preliminary boundaries and responsibility. There can be resentment between a caregiver and the loved one they're caring for if there aren't plans in place to determine the everyday decisions. Who will drive to appointments? Will there be a cleaning service that comes in each week, or will the caregiver be responsible? These issues may seem mundane, but they can lead to a stressful relationship. Determine the responsible party for these items from the start to prevent a strain on the relationship and any miscommunication. If your loved one has you listed as an emergency contact on personal documentation, or a medical emergency takes place, you may need to leave work early. For this reason, it's best to alert your workplace or immediate supervisor to your new role as a caregiver. With knowledge of your new role as a caregiver, your workplace may also be willing to implement a flexible schedule, including working from home, part-time work or other accommodations. You should also research employee assistance programs, which may have resources to assist caregivers. If you're going to be caring for a loved one who has a chronic condition or illness, it's important to learn more about their diagnosis. As a caregiver, it's in the best interest of your loved one to learn as much as possible about the many ways that you can help manage their health. This includes their nutritional needs, medication, any lifestyle modifications, and treatments or tools that can help ease their symptoms. If you'll be caring for a loved one, join them for doctor's appointments as often as possible, and do some personal research regarding your loved one's condition or illness and how it may affect them physically and emotionally. You might also ask your loved one how you can support them. There may be additional ways to offer support that you may not have considered. Although caregiving is often about the individual you're caring for, don't forget to care for yourself, too. Caregiving can take an emotional toll; it's not uncommon for individuals to be spending their time and energy caring for someone else, but to be suffering on their own with anxiety, stress and depression. For this reason, it's important to find a community of caregivers. Many local community centers and hospitals offer caregiver support groups, some of which are specific to the condition or illness your loved one may be suffering from, like those for friends and family of individuals with dementia or cancer. Seek the support of one of these, and find time to unwind with activities you enjoy. As part of our commitment to a superior care experience for seniors, their families and caregivers, five of our hospitals-Lankenau Medical Center, Bryn Mawr, Paoli, Riddle and Bryn Mawr Rehab hospitals-have received Nurses Improving Care for Health system Elders (NICHE) designation. Through participation in the NICHE program-a leading elder care nursing program-Main Line Health is able to offer evidence-based, interdisciplinary approaches that promote better outcomes, positive experiences and improved care for older adults.